CL Corporation has provided its Head In The Stars® 4D motion dome theatre to the Republic of Korea’s much-anticipated Jeju Shinhwa World Theme Park. When complete, it will be the biggest 4D dome theatre in the world, with 130 seats under a 20-metre wide dome. Jeju Shinhwa World is being positioned as a world-class integrated leisure and entertainment resort. It is located in the south-western part of Jeju Island and is being developed by Landing Jeju Development Co., Ltd. The resort will open in phases, the first of which is the theme park, slated to open in September. Featuring TUBan’s Larva IP, it will include over 20 thrill rides and attractions in 7 themed zones. CL Corporation’s 4D theatre is set to be one of the key attractions and is now close to being finished. The company provided a turnkey solution including preshow and post show to deliver what CEO, Christophe Lucchini, describes as ‘an extraordinary show’. ‘We are thrilled to be able to provide a unique show which has never been seen before, as all spectators will be surprised to lie down under the dome, which will be located in this beautiful park that is unique, too,’ says Lucchini. Head in The Stars® combines 4D reclined seats under a massive projection dome. Viewers have the impression that there is no screen as the image is larger, bigger and wider than their field of vision. The visuals are enhanced with fully immersive seating that delivers a range of sensory effects throughout the performance. 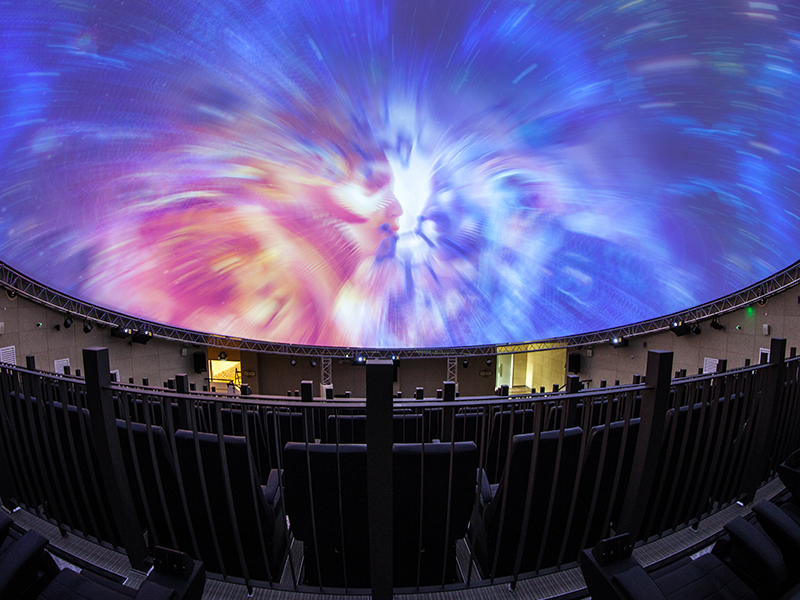 The experience is powered by the Fulldome.pro projection system and revolutionary Fulldome.pro media server which is capable of running up to 64 projectors at once. This saves both space and energy and space and makes the system easy to maintain. CL Corporation has been manufacturing simulators, as well as immersive and interactive attractions, for over two decades with a global presence in Europe, Asia, Canada and the United States.